THE City of Stirling has its sights set on light rail ahead of the Federal Election. It has put forward a wish list of projects seeking Federal Government funding ahead of the May 18 election, with light rail or a trackless tram along Scarborough Beach Road the priority. “The City’s number one advocacy priority continues to be light rail-trackless tram to connect Glendalough to Scarborough Beach as part of its Stirling City Centre Project,” Stirling Mayor Mark Irwin said. “The plan is for a 7km stretch of light rail trackless tram to run from Glendalough train station (heavy rail interchange point), along Scarborough Beach Road, through to Scarborough Beach. Cr Irwin said compared to other transport modes, light rail would result in improved reliability and comfort, a 25 per cent boost to patronage over buses and a 50 per cent reduction in parking requirements. The City has been working with Curtin University Professor Peter Newman and other local governments on alternative urban rail options. Cr Irwin said trackless trams could be delivered for about one-tenth of the cost of light rail. “We’re currently the only local government within this consortium that is planning ready, with a 15 per cent design and all transport modelling already complete,” he said. 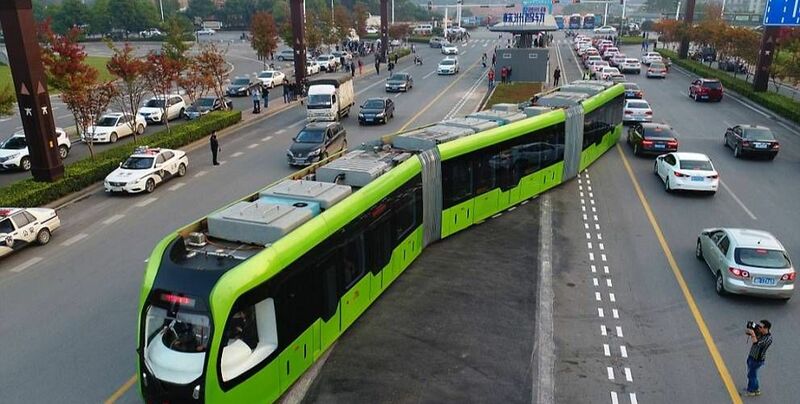 Trackless trams, which have been trialled in China, have rubber wheels and run on streets.